Former Peoples Democratic Party (PDP) National Chairman, Dr. Haliru Bello, sunday lost his son, Alhaji Biyamin Bello. The Public Relations Officer of the Command, DSP Anjuguri Manzah, disclosed this in an interview on Monday in Abuja. Manzah said that immediately Maitama Police Division received the information about the death, it went to the scene and arrested the suspect. He explained that the FCT command had since taken over the case from Maitama Division, and that the suspect was in its custody. 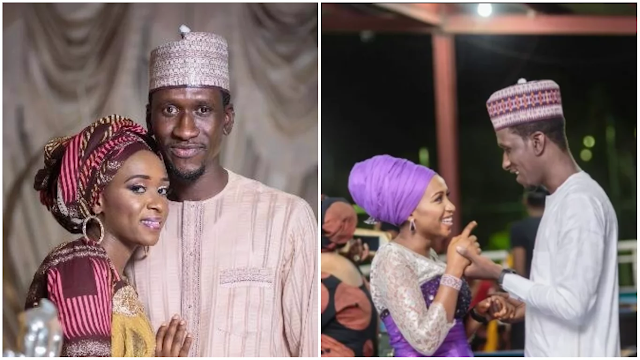 According to reports, Bello had been stabbed to death by his wife Maryam Sanda. The couple, who have a daughter together, had according been having marital troubles. A friend of Bello who spoke to Punch, said the deceased had just returned to his home from the hospital after part of his ear was bitten off by Sanda. Bilyamin Bello had been reportedly advised to leave his house, and was planning to divorce his wife before he was killed. Maryam had attacked Bilyamin before the latest incident, which unfortunately led to his death. The two got married about two years ago when the former PDP chairman persuaded his son to marry Maryam. Everyone was shocked by Bilyamin’s death; it was sudden, unexpected and tragic.